For this week’s theme, I’ve decided to go with an oldie but a goodie. 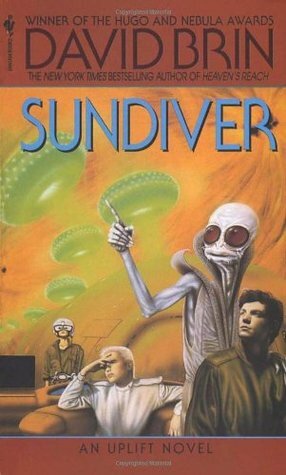 Sundiver is the first book of The Uplift Saga, a series featuring the central theme of “biological uplift”, a term used to describe the process of transforming a certain species into more intelligent beings by other already intelligent beings. 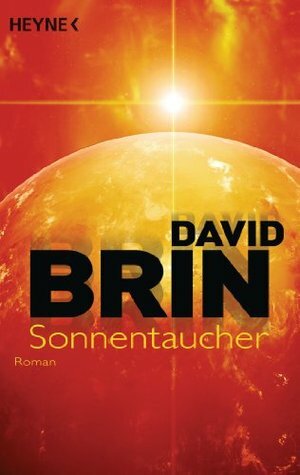 In this universe, humanity is an anomaly – a species that apparently got to where they are with no patron race. But is this truly the case? Or did a mysterious race begin the uplift of humankind a long time ago before abandoning them? The matter is one of fierce debate. I hate to admit it, but some of these older covers are just way too goofy looking for my tastes, so simple and elegant wins it for me this week. Oh man, those are some old-school covers! This should have been a tbt post. 😀 You know, I don’t think I know of any book with aliens on it! Do the Star Wars books count? This is an interesting prompt for this week for sure. Great choices! That is my favorite too. I really like the clean, simple design. 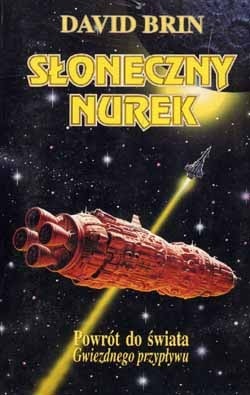 It’s true, I love a lot of older vintage sci-fi covers BECAUSE of the cheese! Either the Little Brown and Company (1996) or Spanish (2010) would have grabbed my attention the most I think. I agree, both are quite striking in their own ways. 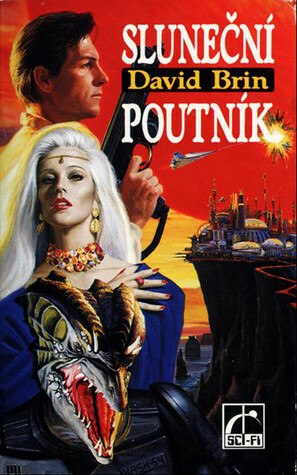 The Bantam Spectra cover is kind of fun as is the Romanian one! None are greatly to my taste to be honest. The older covers look great. For some reason I’m drawn to the first one by Bantam Spectra. I think the alien has some appeal to me for some reason I can’t explain. I don’t know that I would actually pick up any on the cover alone, but if I did, that would be the one. 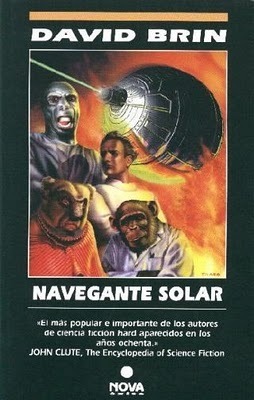 Ohhhh I haven’t read this book nor heard of it before but I really like the spanish cover!! 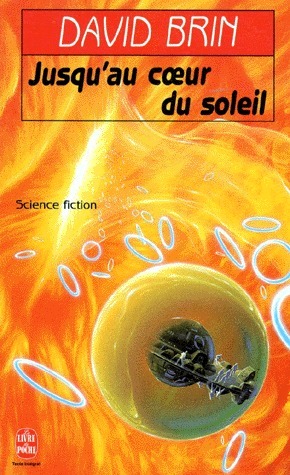 I tried to read a lot of classic SF when I was in high school but not a lot were either translated in french or available at my local library! The middle cover in the first row is not bad either…. I do love the color choice! 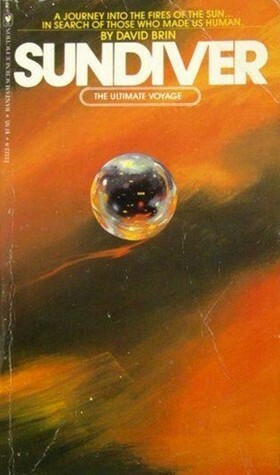 I find it interesting that most of these covers also went for the orange/yellow motif. LOL, I know right? That’s what I kinda meant by goofy. That’s the edition I own, and that big alien on there always cracks me up. Hah, I love this selection of covers. 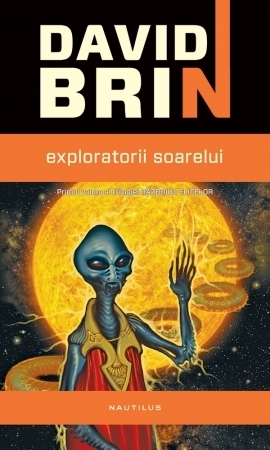 The first cover with the alien dude – he’s all like ‘hey, how you doin?’. Then there’s the giant donut. I love the blue ET guy too. 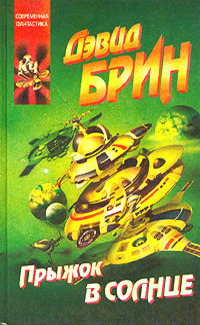 My favourite (I do like your cover because it has a simplicity that is classy) but the very last cover, the green one with all the space ships – it just has this great comic feel. I have to go for that one. Good Choice! The 1981 Bantam cover isn’t too bad either. 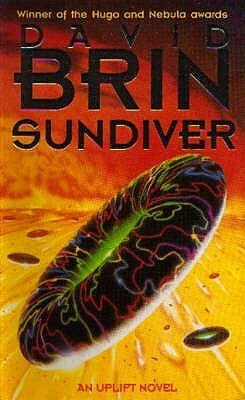 Interesting that the covers got more cheesy and ugly in the newer editions! LOL, that’s too funny! 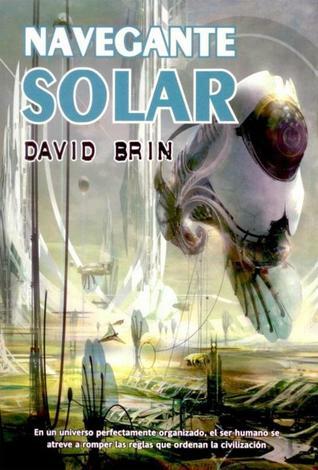 I think a lot of the newer editions also kept the original cover (the first one) and that to me is such a missed opportunity!